Bramptonians have been yearning for a solution to overcrowding in the city’s lone full-service hospital for years now — Brampton Civic Hospital is where the term “hallway medicine” was popularized. Today, Premier Doug Ford announced a bid to provide some relief for healthcare workers bogged down by too many patients and not enough treatment space. However, the beneficiary of Ford’s plan is the Grimsby area, not Brampton. 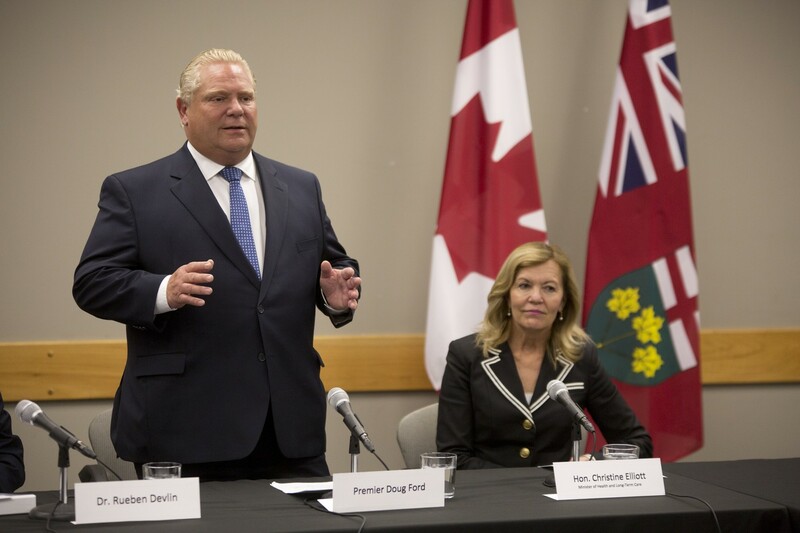 The premier, joined by Health Minister Christine Elliott, Minister of Infrastructure Monte McNaughton and Niagara West MPP Sam Oosterhoff, committed to upgrading the West Lincoln Memorial Hospital. “You need a facility that helps you do your job the best way you can,” Ford told an audience of mostly media, staff and healthcare workers. Ford promised an initial investment of a “half a million dollars to kick off the planning process.” That will be the first step in roughly $8.5 million in upgrades to the facilities, set to begin next month. The announcement offered nothing new in terms of increased beds or treatment space. The upgrades will almost exclusively be devoted to improvements to the building infrastructure rather than healthcare services. The plans include improvements to the hospital elevator, emergency generator, fire alarm system, nurse call systems, cooling and heating, plumbing and electrical systems, and replacement of floor tiles. The only reference to additional beds came in the form of a statement repeating October’s announcement of $90 million for 1,100 beds in seven hospitals to alleviate the crush expected as flu season gets underway, plus $300 million for 6,000 long-term care beds, the first wave of a promised 15,000 to be added to long-term care homes over the next five years across Ontario. None of the money announced for additional beds this fall will be coming to Brampton Civic or Peel Memorial. A long-term care home in Mississauga, the Cooksville Care Centre, is on the list to receive a portion of the provincial dollars. There was no indication of how the 6,000 long-term care beds were to be allocated. But those pleas fell on deaf ears. The Progressive Conservatives defeated the motion 65-35, in a vote where neither of Brampton’s two PC MPPs was present. Horwath has been vocal about the hospital gridlock situation in Brampton for over a year now. 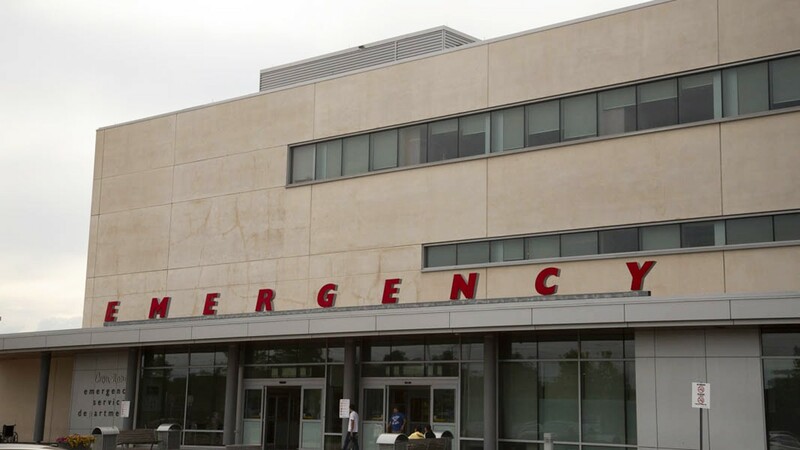 “Brampton Civic’s emergency room was built to serve 90,000 visits annually, but last year the ER saw 138,000 visits,” she said in a 2017 press release highlighting the pressures the hospital faces trying to meet the needs of a rapidly growing population. By comparison, 25,000 people visit the ER at West Lincoln annually — about 18 percent of the number visiting Brampton Civic. The hospital serves an area population of about 65,000, including the towns of Grimsby, Lincoln, West Lincoln and parts of Stoney Creek; that’s a little more than 10 percent of Brampton’s population, which currently sits at just under 600,000. Grimsby is part of the Niagara Region, which is still smaller than Brampton, with a population of roughly 448,000. Hamilton Health Sciences, the network West Lincoln Memorial belongs to, includes 11 hospitals. Brampton’s William Osler Health System has only three. Brampton has fallen far behind other municipalities when it comes to equitable distribution of healthcare resources, despite having the fastest-growing population in the GTA, Singh said.